Enterprise resource planning (ERP) applications form the backbone of many organisations, so it is hardly surprising that enterprises across the Asia-Pacific region are looking at shoring up their ERP systems to keep up with the needs of their business. Besides ensuring that these applications are flexible enough to accommodate changes, IT managers are also looking at how they can tap new features to simplify and automate business processes. 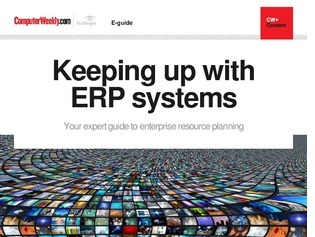 In this e-guide, read about how APAC enterprises are benefiting from cloud ERP offerings, the state of the ERP market in the region, and what ERP suppliers are doing to help enterprises maximise their ERP investments.